Forrás: Stuff.co.nz. Szerző: Bianca Wordley. Temporary henna tattoos are popular, but you may want to be cautious about the type of dye being used. 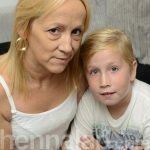 The temporary nature of henna tattoos may make them seem harmless, but one mum has issued a warning to others after her son suffered a nasty reaction. Mum of four and Atomic Kitten star Natasha Hamilton let her six-year-old boy Alfie get a henna tattoo while on holidays, but a week after getting home it got inflamed. She shared a picture of his leg on her Twitter feed. She went on to write that he was OK, but she’ll never let her kids get henna tattoos again. “He’s fine, no pain, but we just hope that it doesn’t scar now,” she wrote. 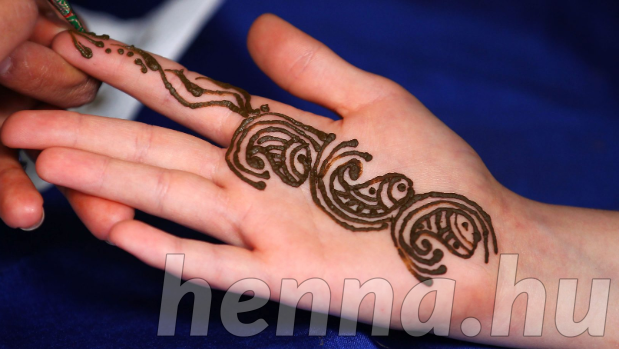 Doctors said while there are different types of henna, parents should always avoid black henna as it contains high levels of a chemical dye called paraphenylenediamine (PPD). Dr Helen Webberley, GP for Oxford Online Pharmacy, told the Huffington Post that the black dye “could leave you scarred for life and put you at risk of a life-threatening allergic reaction”. “Unfortunately, stalls such as the one where this child had a henna tattoo are not subject to any sort of regulation, so you are going on blind faith,” she said. “There are different types of henna, all of which may cause an allergic reaction, but in the most extreme cases, such as this one, the chemicals contained within the product actually burn the skin. She said genuine henna is orange-brown. If the paste is black or referred to as “neutral” then it is not genuine and could be dangerous. Reactions can range from discomfort, burning, swelling, redness and blistering of the skin. In extreme cases, a person can be left with permanent scarring of the outline of the tattoo on the skin. It’s advised parents seek help immediately if there are any concerns.